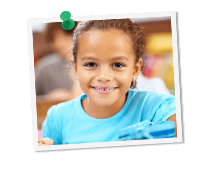 Grade Potential is the convenient and credible tutoring option right in your neighborhood. We offer in-home tutoring for every subject and every grade, including test prep, and all the way up through graduate school. Whether you want help with one subject or many, our contract tutors are here to help you reach your specific academic goals. At Grade Potential, our team of contract tutors cover every subject, every grade level and every unique learning style. From elementary school math to college-level economics courses, our expert contract tutors offer one-on-one personalized support that empowers students and makes learning more approachable than ever. We’ve worked with over 3,000 students around the country and know what it takes to improve academic outcomes! Nobody has to tell you that coordinating family logistics gets tricky. That’s why our contract tutors meet you at your desired location, at your desired time—to maximize convenience and make tutoring simple. You make one quick phone call to our offices, and you can have an exceptional contract tutor at your door within 48 hours (or even faster!). So what are you waiting for? Call us today!